At Epic Roofing & Exteriors, we understand that many homeowners are turned off by the big-ticket costs associated with a new roof. Epic offers convenient roof financing options for residential looking for Calgary roofing services. If you need a roof, you shouldn’t settle for lower quality just to obtain a cheaper price. A roof financing plan can help you get a new roof for your property that will ultimately save you some money in the long run. An old, damaged roof can increase your energy bills and cause leaks which results in costly repairs. A new roof will give you a peace of mind for many years to come. Financing is a great tool for homeowners who choose to utilize our residential roofing services, which range from residential roof repair to residential roof replacement. With more than 35 years of experience, you can trust our team to get your home improvement job done professionally. Epic is constantly looking for ways to improve our customer experience. We offer roofing financing provided by Financeit based on approved credit. When you finance your roof with us, you’ll have access to competitive loan options that ultimately save you money. With Financeit, you’ll have low, fixed monthly payments, have funding in as soon as 24 hours, and you’ll have no prepayment penalties. Learn more about the details of our roof financing here and apply within minutes. When you come to us for service, you get more than a contractor – you get a partner. Using all your savings up front is not always ideal, you have daily costs and bills to worry about. Or perhaps you would rather invest your savings instead of spending all your money on a brand new roof. By knowing how much you are willing to spend each month, you can choose a set amount to pay for your new roof each month. With a budget in mind, you can even consider other upgrades such as hail resistant products (great for Calgary roofing conditions) that can provide additional protection as well as aesthetics. 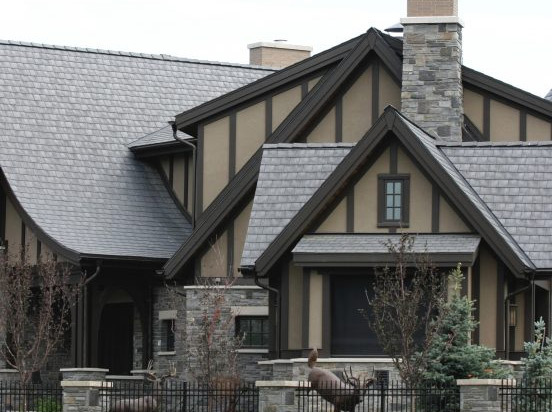 If you’re looking for a Calgary roofing company you can trust, give our team a call. We’re well-known in the community for offering high-quality services as well as excellent customer service.